This is a little post from Jenny. 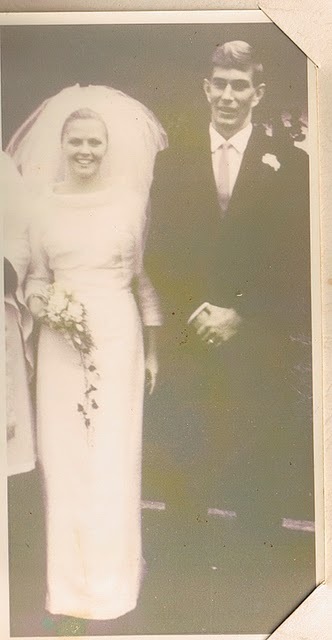 It's my Mum and Dads' 45th wedding anniversary today!! Definitely a major. So of course as we get together to celebrate, we will be keen to pull out the old wedding photos and watch them (my parents) reminisce while we visualise and imagine what the day may have been like. The grandkids will laugh at "the olden days" and realise that their grandparents were young once too.. 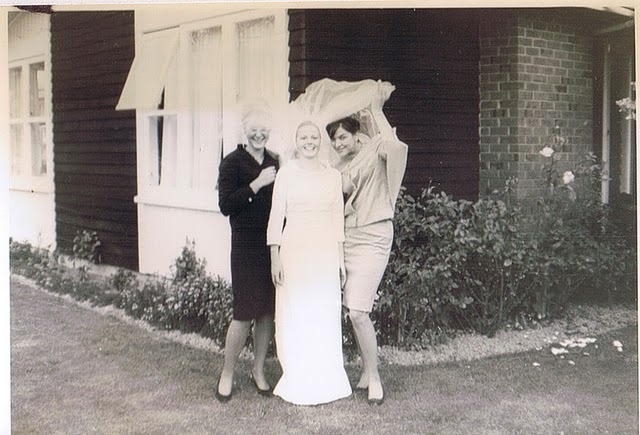 Unfortunately my parents for whatever reason did not have the foresight to employ a photographer on their wedding day, so our opportunity to pour over the images, well is sadly missed really. Luckily someone's uncle was present with a camera, so below is what we have. 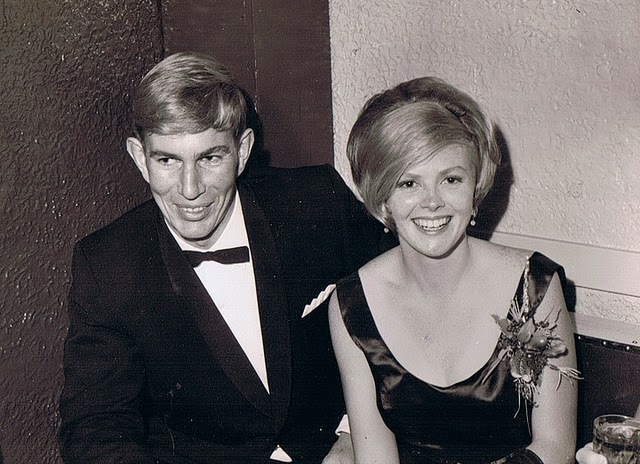 Happy 45th anniversary to Mum and Dad all the same! 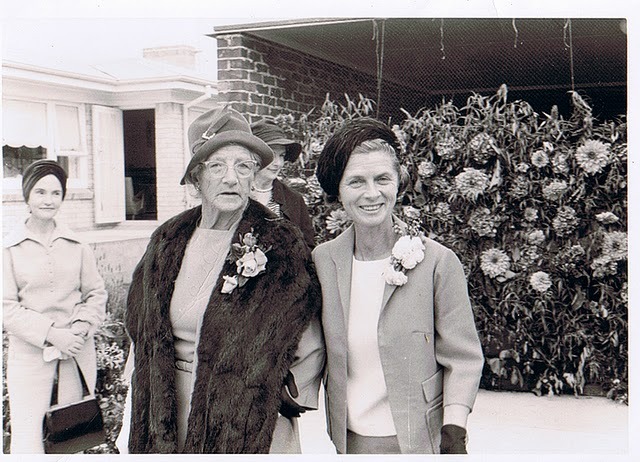 A precious one to have from the day, my grandmother and great grandmother. This one below was actually taken before the wedding day by a professional at a ball. I love it.